MCN Senior Road Tester Adam Child is currently at the launch of Suzuki’s all-new V-Strom 1000 Adventure in Almeria, Spain. The new adventure bike is expected to arrive in dealers for early February 2014 at £9999, and comes with a heavily revised 1037cc V-Twin (996 previously), producing 100bhp @ 8000rpm and 76ftlb at only 4000rpm. The V-Strom is also Suzuki’s first bike to come with full traction control, which has two stages of intervention and can be switched off, too. The traction control uses information from five different sensors around the bike including wheel speeds. There’s also ABS for added extra security, while the suspension features a fully adjustable 43mm fork, and a single rear shock with remote preload controls. The whole package weighs in at 228kg ready to ride. The V-Strom’s ‘beak’ style styling carries on the DNA from the Suzuki’s first large on/off road motorcycle their 1988 DR750 ‘Dr Big’. The 19inch front wheel gives an indication towards possible light off road riding ability, but Suzuki are keen to point out that this bike is aimed predominantly at road use. As you’d expect for this type of the bike, the list of accessories is huge, allowing plenty of opportunities to personalise the bike to your taste or requirements. Read the full road test report in next week’s MCN, on sale Wednesday December 11. 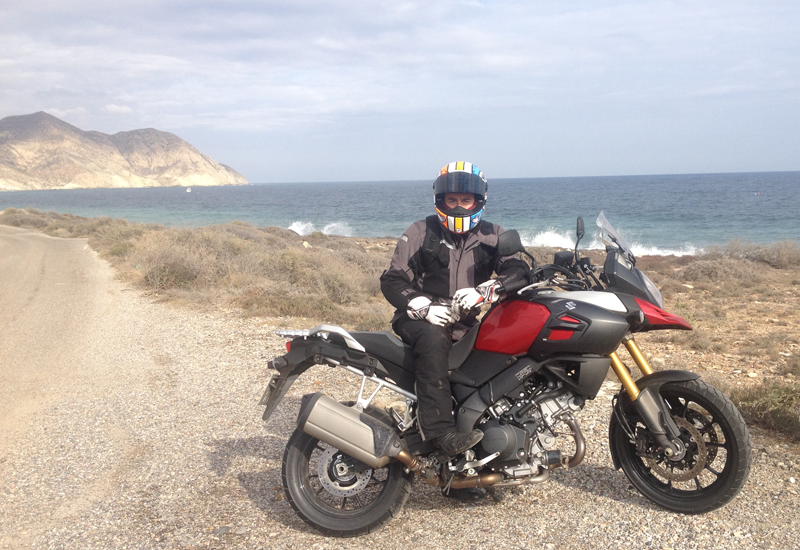 It's been a busy yet enjoyable time with the V-Strom 1000 since I was handed the keys in March 2014.